Beverley Streater will be editing the stories and producing a manuscript. Beverley was a service coordinator, manager and senior advisor in the field of human services, focusing on disability services. On her blog 'Classic Women', she writes about remarkable women who balance their roles as mother, daughter, grandmother, partner, friend, and volunteer. As a freelance editor, she offers encouragement, support, guidance and editing to emerging writers. Grant Lock will be contributing and writing a story. Grant dug wells, built schools and helped restore the eyesight to thousands of Afghans. He is married to Janna, the woman the widows of Kabul call Frishta (Angel). Grant and Janna were successful cattle breeders prior to their work in Afghanistan, as well as Pakistan. Julie Rackebrandt will be contributing and writing a story, as well as performing proofreading. Julie's daughter, Emma, was a T6 paraplegic with a rare brain and spinal cord cancer. Emma managed to stay positive, and unfortunately passed away in 2016. With the permission of Julie, Emma's story is used to promote funding for cancer research for the Cancer Council of SA. Michael Kuhn is contributing his story with the help of Kathleen Kuhn. The story will be written by May-Kuan Lim. He is a happy 30 year old man who loves life, people, being involved in everything including his Church. Michael is very energetic and tries everything and is always out and about. He likes music, but has no interest in TV and computer games. May-Kuan Lim will be writing the stories of Michael Kuhn and TM. May-Kuan has been free-lance writing since 2007 and a member of SA Writers since 2010. In 2015, she won the Arts SA Emerging Artist Mentorship Grant for her book project about refugee resettlement in South Australia. She writes narrative non-fiction, loves oral history, and blogs at maykuanlim.com. TM is contributing a story to be written by May-Kuan Lim. She has spinal damage resulting from a Motor Vehicle Accident in the Northern Territory in early 2013. TM was travelling by herself in Australia, during a career break since mid-2012. She recently started her blog WelcomeToMyQueendom.com and believes there is power in words and the testimonies of the lives of people. TM is interested in fundraising to help other people with spinal injuries such as tetraplegia (also called quadriplegia). Faisal Rusdi will be contributing a story to be written by Marie Doerner. Faisal believes that art has always been a part of himself, and is an accomplished artist. He was born with Cerebral Palsy and only discovered his talents at age 16. Faisal paints with his mouth and won a scholarship to further his skills. He loves painting landscapes, people and symbols, and typically produces four items per month. Faisal is pictured to the right of his wife, Cucu Saidah. Marie Doerner has worked for the over two decades with students, both children and adults, who have various disabilities. Marie finds it rewarding to support instructors to improve their programs with strategies and accommodations for their students. She also loves working with students to help them develop self-advocacy skills and learn to find their strengths. However, the favorite part of Marie’s job is when her student work can be highlighted such as speaking at conferences and having their writing published. Marie will proofreading the book and writing for Faisal Rusdi and the Rodert family. Kym & Cristina will be contributing a story. They are parents to James (17 years old) and Hannah (15 years old). James was born with Down Syndrome and later diagnosed with autism, as well as having speech and hearing impairments. Caring for James has always been a challenge, and because he is unable to talk, it is difficult to know what he wants. James is currently staying at one Minda's respite houses and comes home one day a week to stay with his family, a day that James and his family always look forward to. Their story will be written by Marie Doerner. Melinda Jones was born with a rare genetic condition called Neurofibromas Type 2, and had her first brain tumour removed at 19 yrs old and my second brain tumour at 39 yrs old whereby it left her permanently deaf. Melinda is a full time mother to 3 beautiful children and as a family have learnt and now use sign language( Auslan) in order to communicate on a daily basis. She never thought she would be able to accomplish doing many things in life, given the health issues, but have fought very hard, and found that anything is possible. Melinda is from Perth, Western Australia, and will be contributing and writing her story with the help of John Duthie. 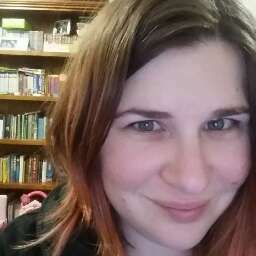 Phillippa (AKA Philly or as Pippa.K) is an Australian fantasy writer, her first fantasy book is in the process of being written with no release date set as yet. 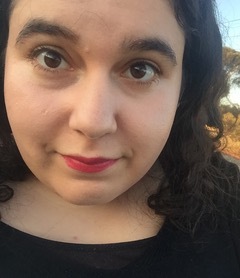 Phillippa resides in Adelaide, South Australia with her husband, three children, a Labrador (who is her son’s Autism Companion Dog through the organisation Lab’s n’ Life) and three cats who have created the inspiration to continue on with her love of writing, especially in the fantasy genre. Phillippa comes from a very autistic diverse household and is autistic herself so speaks from lived experiences that she hopes to be able to pass on to others. Will be contributing and writing her story with help from John Duthie. Gail Miller has written the story of how her Mum’s life changed after a tragic car accident. She’s married with two adult children and lives in the Adelaide Hills. Her background is in children’s dentistry, but somehow in midlife she morphed into an author and public speaker. Gail’s business name is Books with a Purpose. She writes to make other’s lives easier and has now written three books ~ What we’re Wheelie like on disability, Unscrambling Grief - their story of surviving losing two children and more recently she published 5 Easy Ways to Solve the Aged Care Puzzle to simplify the process of getting a loved one into aged care. In her spare time she loves to arrange flowers, travel and speak German. Zia Westerman will provide proofreading services and will contribute a story to be written by Pam Farley. In 2014 Zia completed an Advanced Diploma of Arts (Professional Writing), and was awarded the Society of Editors (SA) Award for Highest Achievement in Editing. In the same year, she also completed a Certificate in Professional Editing and Proofreading. Zia is actively involved within the Whyalla area, including the council and the Writer's Group. Her hobbies include scentsy, reading, drawing, teaching herself Spanish and listening to loud music. Zia would love to get an Alpaca. Zia's website is https://www.wondrouswordszia.com.au/. Pam Farley will be writing the story of Zia Westerman. Pam is a writer of dark fiction. She has written more than sixty short stories and has had many published in various literary magazines and anthologies. Her sixth novel The Hunter Within won the 2015 Murray Book Prize. Pam’s working days are filled with caring for sick animals and she volunteers as an ambo in her community helping sick humans. She loves horse riding, motorcycle riding, kayaking, gardening, walking her dogs and reading in her hammock. But most of her spare time is spent writing. It’s an addiction. Pam's website is http://www.pamfarley.net/. Ross Hill-Brown will be contributing a story about how he became an incomplete tetraplegic in a traffic accident in the U.K. in 2015. It will be written by John Francis. At the time he was an active Master track and Field athlete. Four days before the accident he ran a 400m heat in the World Masters Championships in Lyon beating the other two Australians who had competed by recorded time. A couple of days earlier he had made the 200m semi-final. His running came to a halt on the day of the accident and his story tells of his recovery, having been told he was not expected to walk again. John Francis has been a journalist for over 50 years, producing radio documentaries, working in newspapers. Thirty years ago he founded *Tearaway* Magazine, 'The Voice of New Zealand Youth', which in the 1990s was massive with young New Zealanders (before social media and mobile phones took over their lives). John now produces video life stories, and in the process of writing his memoirs. He will be writing the stories of Ross Hill-Brown and Rick&Mitchell Neagle for the project. Rick Neagle will be contributing a story about Mitchell Neagle, to be written by John Francis. Mitchell has autism spectrum disorder and attends St Patrick’s Special School. Rick has become a strong advocate on many disability issues including the provision of services for people with autism. He is currently the Dignity Party President and stood as a candidate in the 2006, 2010 and 2014 SA elections. Rick is passionate about the Norwood Football Club and played in three premierships. 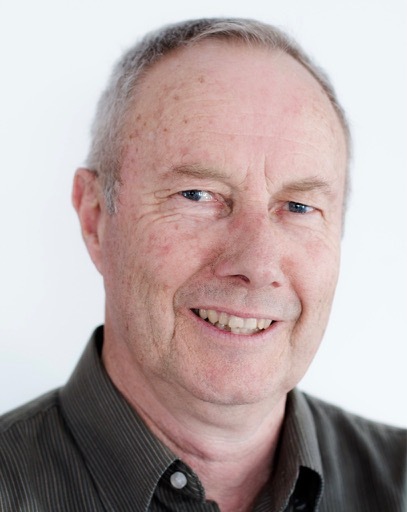 Rick has post-graduate qualifications in Acupuncture, Financial Investment and Business Management. Lisa Birch is a freelance writer and editor from the beautiful western suburbs of Adelaide. She shares her little house with her husband, her daughter and two mischievous cats. Lisa will be proofreading the book. The last 9 years of Neville Hiatt's journey have been a painful journey after an accident intermissioned a promising radio career. All his artistic work from his photographs to his books were born out of a recommendation from his psychologist to find a new voice. He is passionate about people being known for their abilities not their disabilities. Neville will be contributing and writing his story. Katie Webb has worked with authors all over the world for many years, both as an advocate for authors' professional rights, and on various literary and academic projects. During her time working for the International Authors Forum (IAF), a network of writers' and artists' union all over the world, she sat on the board of the Accessible Books Consortium, an initiative dedicated to making published work more globally accessible to people who are blind. Katie will be editing the blogs of our team. Jacy Arthur was born with Cerebral Palsy with severe hearing loss. She hears by reading lips, and speaks through my hands via a keyboard. Jacy has written two books so far "If Only You Knew" and "If Only You knew Too". The books share her life and how her family coped with Jacy's disability. Jacy will be contributing her story to be written by Diana von der Borch-Garden. Diana von der Borch-Garden was a freelance script writer for children's television show called "Kids only", and helped write episodes of "A Country Practice". Her book "Second Son" was published in September 2017. Diana is a counsellor and has studied artpsychotherapy, and is interested in chronic pain and how it impacts on people with injury. She worked in the disability area for 15 years and will be part of the writing team and will write for Jacy Arthur and Jane Gersch. Jane Gersch will be contributing her story. Jane truly believes being part of a team helps everyone achieve a common goal, and there are things that she can no longer do alone. Jane suffered a severe Acquired Brain Injury after falling off her horse 20 years ago. Now she is involved in Dragon Boat paddling, as serious exercise improves her mental health. Also as a Management Committee Member and Group Leader for Families4Families, she supports others with Acquired Brain Injury in SA, which is always giving her something to work towards and think about. Jane wants to help others. Ben Wilson is contributing and writing his story. 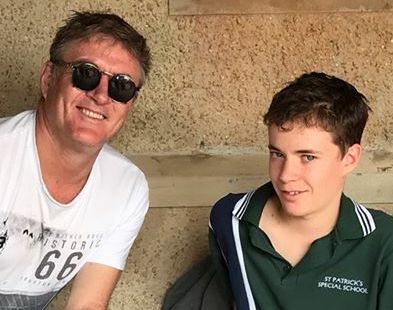 He is currently teaching at St Peter’s College in Hackney, and played football for Collingwood and Sydney in the AFL, before returning to Adelaide to play in the SANFL with Norwood and later South Adelaide. He is an Ambassador for Huntington's SA & NT. Ben is standing for the Dignity Party in the electorate of Dunstan in the March 2018 state election. Jonathan Nguyen will be contributing a story to be written by Chantel Bongiovanni. 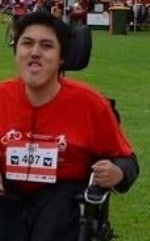 Jonathan is a 23 year old man with Muscular Dystrophy who is passionate about electric wheelchair sports. He devotes his time training, playing and teaching his beloved electric wheelchair sports in hopes of it gaining more exposure to those who are also in a wheelchair but also wish to find a competitive outlet. Jonathan also volunteers weekly at Muscular Dystrophy South Australia’s office. In his spare time, Jonathan follows mainstream sports like AFL and the NBA fanatically, while also being a keen music listener. Chantel Bongiovanni will be writing the story of Johnathan Nguyen. As well as being a person with a disability herself, Chantel has a keen interest in social justice and issues affecting people with disability and broader Australian society. She is currently undertaking a PhD in Applied Linguistics, which focuses on the the experience of policies for ‘inclusion’ in higher education settings for people with a disability. In her spare time, Chantel plays electric wheelchair sport, and writes short stories and novels. Nadja Fernandes is working on a story about Alex, andGordon Smart (a pseudonym chosen by the real person). Gordon is visually impaired and lives by himself in Perth, WA. He does all his house chores by himself, including cooking. He earns his living by trading shares on the Stock Market. Nadja writes mainly fiction and works as an English teacher. She also does volunteer work for an organisation which provides free audio books, where Nadja does proof-listening and also audio recordings. 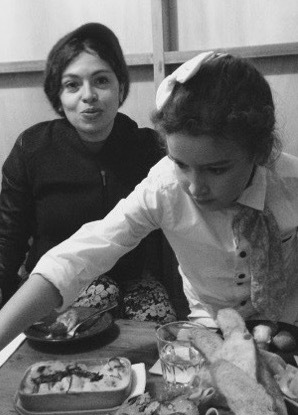 She lives in Perth with her daughter, who also writes fiction and her website is located at nadjafernandes.com. Alex was born with Spina Bifida, he is 8 1/2 years old. As a result of his Spina Bifida he is a paraplegic and gets around in a manual wheelchair. He is the second of 4 children, he has an older brother Elliott (10), and younger sisters Betty (3) and Sophie (1). Alex loves sport and a bright young boy. He attends the local primary school and is popular, with a great sense of humor. There is nothing Alex won't try, he has a fiery temper and is a bit of a sore loser, which makes him determined. He has had his ups and downs and we still have them, serious surgery at 8 weeks old, and plenty of other procedures and hospital visits, he is part of the Starlight foundation and is currently thinking about his "wish". Alex is contributing his story and Nadja is writing it. Gordon Smart will be contributing a story, to be written by Nadja Fernandes. This is not the actual photograph of Gordon, and he doesn't exist. Contributors can choose to remain anonymous by choosing a pseudonym. Nessa Vlajkovic is 20, and will be contributing andwriting a story about the challenges and triumphs she has experienced in her life as an individual living with deafblindness. She is a cheerleader with a background in dancing and gymnastics. Nessa's goals in life include raising awareness about disability and fighting for the rights of disadvantaged persons. She is studying journalism at ECU in Perth, WA, and will be graduating in 2018. Theatre of Disability in an administration role, and working on theatre productions and creative developments. When Kathryn is not working at the theatre, she spends time going to the theatre, arts events , or socialising with friends and family. Will be contributing a story to be written by Rachel Mann. Rachel Mann will be writing the story of Kathryn Hall and proofreading for the project. Rachel enjoys assisting people to share the stories they most wish to share with the world. 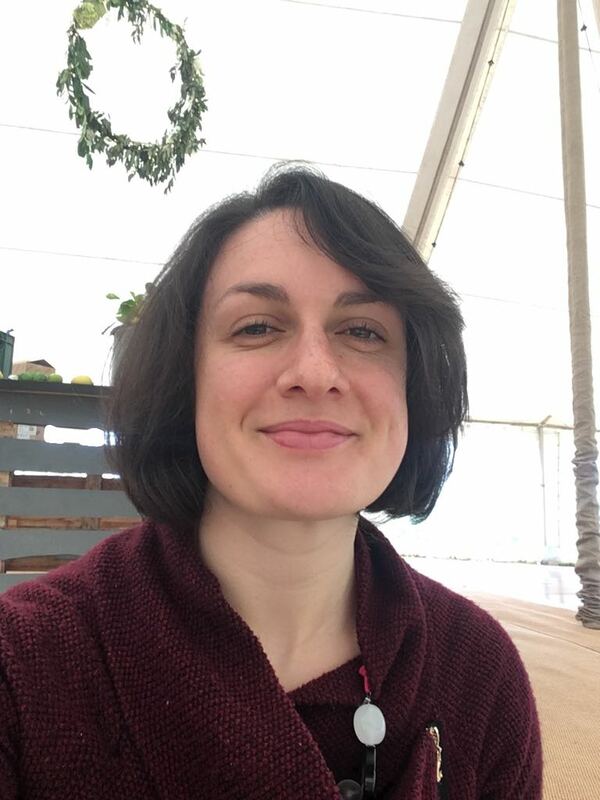 With a background as a social worker, project officer and social researcher, Rachel has always enjoyed the process of writing and talking with people. Rachel has completed some subjects in Professional Writing through Deakin University and workshops through the Writer’s Centre. She now hopes to grow a business where she can write people’s stories full time. Rachel lives in Gawler with her family. Karen Brown was diagnosed with Multiple Sclerosis in January 2001, and after facing many (often invisible) challenges because of it, Karen had to 'retire' from a 27 year career in nursing in 2010, a decision that she found very difficult. Not to remain idle though, Karen is actively involved in the running of her family business & is the self published author of the book, "Multiple Sclerosis, Many Stories, Many Symptoms". Karen will be proof reading. Alice Waterman will be contributing a story and writing it with the help of SA Care. At 18 months of age, Alice contracted a virus infection which had the effect of confining her to a wheelchair with quadriplegia. She communicates via phone, facial expressions and makes noises with her mouth. Alice enjoys shopping, watching movies, visiting friends and family members, reading and going to concerts. She is currently working for a graphic design business called Blend Creative and undertakes tasks on the design program, Indesign. Alice often attends Purple Orange, which is a youth group for people with a disability. John Rynn - John has non verbal quadriplegic Cerebral Palsy. He enjoys travelling on boats of all sizes from Sailability dinghies to cruise liners as well as painting and poetry. John says "I am in my sixties, the age when one looks back on life". 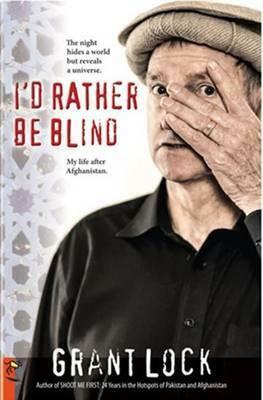 John loves writing and will be contributing insight into his achievements, one of which is being a published author. His story will be written by Judith Buckingham. Judith Buckingham will be part of the writing team and will write the story of John Rynn. She has worked in the disability sector for over twenty years. For the past eight years she has been working for the ACEDisability Network undertaking research projects and professional development. Her PhD explored the meaning and practice of inclusion of adults with cognitive disability. In her spare time she likes to write fiction. 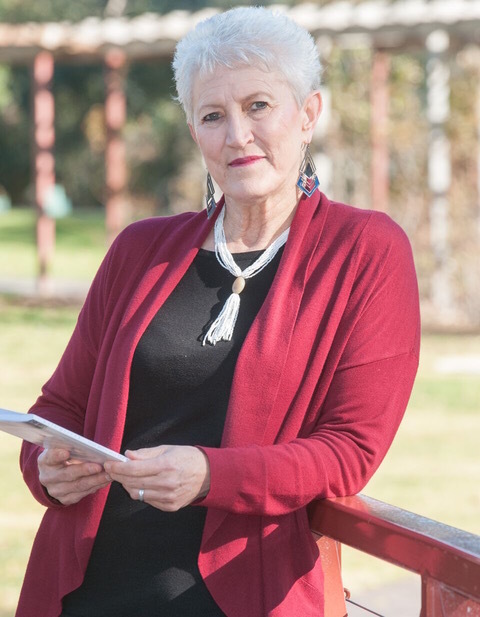 Lorraine Saunders is a member of Rocky River 'Riters which has members from the mid north towns of Gladstone, Laura, Georgetown, Crystal Brook and Redhill. She coordinates the Laura Literary Awards, an annual nation-wide prose and poetry competition for adults, high school and primary students. Lorraine has a diploma of teaching, and been a Family Day Care provider for over twenty years until retirement. Lorraine volunteers with Girl Guides, as a Tai Chi instructor, and helps with other community groups. She will provide proof-reading for the project. Linda Fistonich will be contributing a story to be written by Valerie Everett. Linda was born with a congenital condition known as optic atrophy, which has left her living her life as a deaf blind person. She completed a Batchelor of psychology degree in 1989 and loves helping and caring for people from all ages and backgrounds. In 2012 Linda was inducted into the WA women's hall of fame for voluntary work with disabled people. She currently lives independently in a retirement village with the aid of support workers. Linda's passion is for all deaf blind people to have the same rights as everyone else. 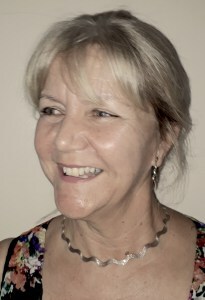 Mary Albury will be contributing a story of the roller-coaster ride that is her life (to be written by Valerie Everett). 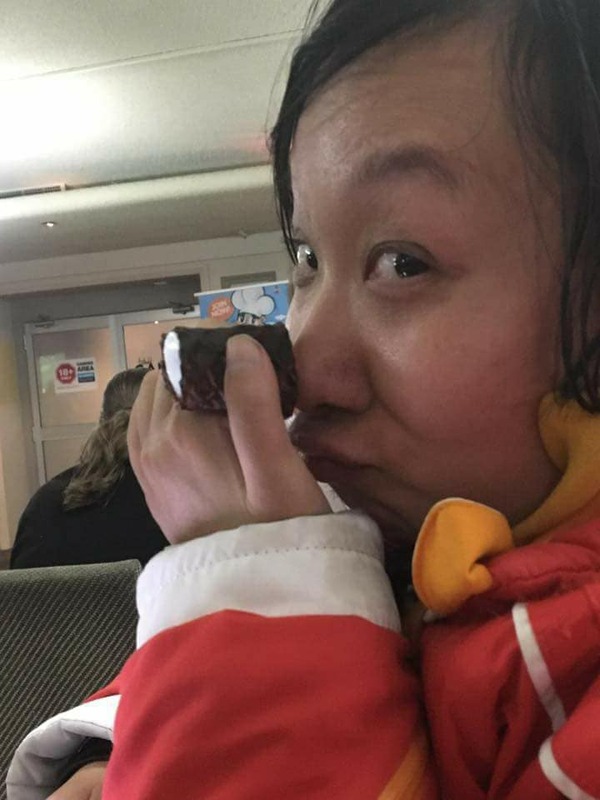 Love, loss, and learning to overcome adversity with good humour and compassion, has finally brought her to a place of acceptance and joy in her life. To reach this place, Mary has come to understand that with hard work and tenacity absolutely anything is possible and that life is truly what you make it. Mary believes that she is an ordinary person who with the love, support, and encouragement of many has been able experience many of the things life has to offer and accomplish some extraordinary things! Mary is a wife, self published author, and a university student undertaking her Bachelor of Counselling, who just happens to live with Cerebral Palsy. 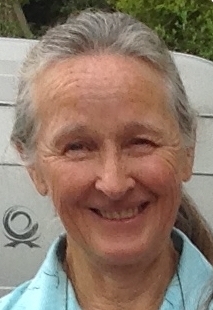 Valerie Everett is a published author of fiction and non-fiction. She is passionate about researching and writing stories about all things Australian, such as interesting events and the lives of ordinary people who have achieved the extraordinary. 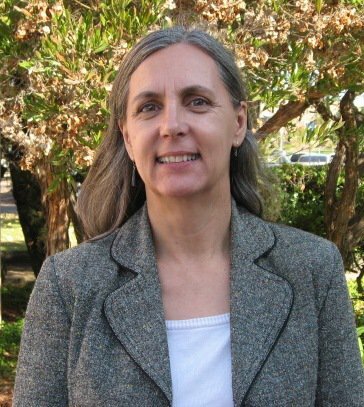 Valerie is a high school teacher and member of the Board of Management at the Katharine Susannah Prichard Writers’ Centre in Greenmount, Western Australia. She will be writing the story of Linda Fistonich and Mary Albury. Register your interest in pre-ordering our book.